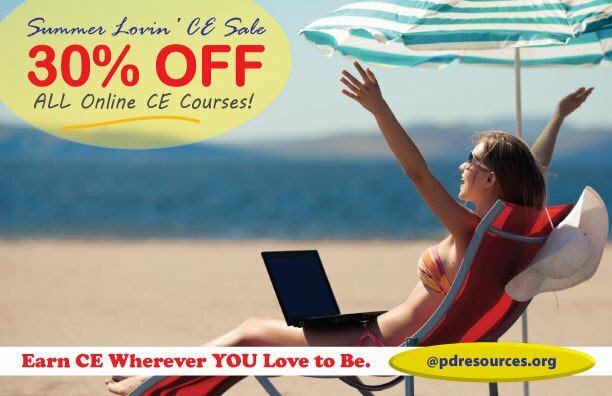 PDResources Summer Lovin CE Sale – 30% Off ALL Online CE Courses! As a special thank you for your business, please enjoy 30% off all online continuing education courses @ pdresources and earn CE wherever you love to be! Enjoy 30% off all online continuing education courses @ pdresources! Use promo code PDRPC286 at checkout to redeem. Valid on future orders only. Coupon expires 12/31/2016.